Paul Alexander is a retired bank-loan processor who's done things right. But with a pension and Social Security bringing in not quite $26,000 a year, he still needs a little help. Enter Sound Generations. 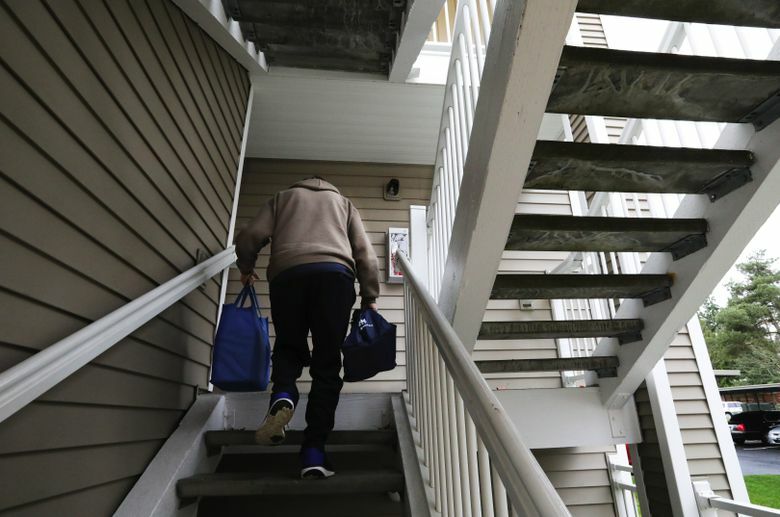 The local nonprofit supported by The Seattle Times Fund For The Needy fills in the gaps. Social Security, $1,800. Citibank pension, $359. That totals $2,159. 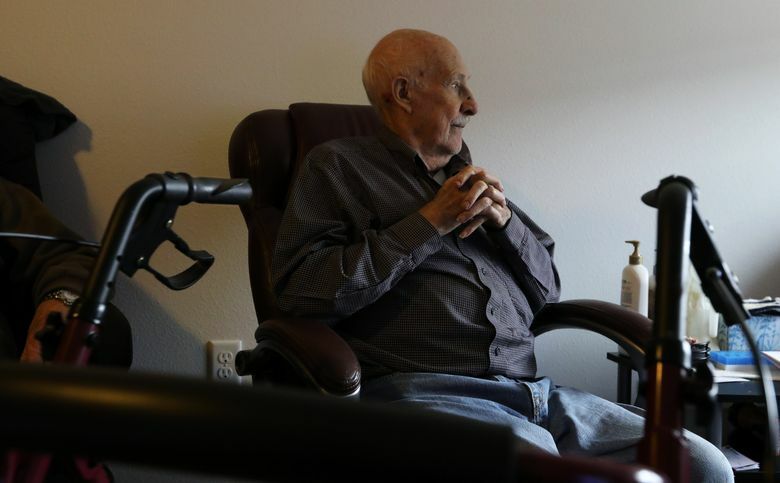 His apartment at The Reserve at Renton senior-living complex, right by the Fred Meyer, costs him $1,276 a month, which includes utilities. Additional monthly costs include $99 for low-income health coverage; $50 for his cellphone. That leaves him with $481 a month for everything else. Not being able to get around much because he needs a hip replacement, Alexander does watch a lot of TV, a cheap way to pass the time. That’s around $50 a month for basic channels. He lives in the apartment with his cat, Bart, who doesn’t show his presence to visitors. 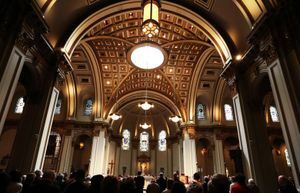 In his family, he says, there is an adult disabled son, a stepdaughter, a former wife from long ago. The feds have poverty for an individual at an income of $12,060 a year, and Alexander is at $25,908, twice as much. So this is one version of the American dream. 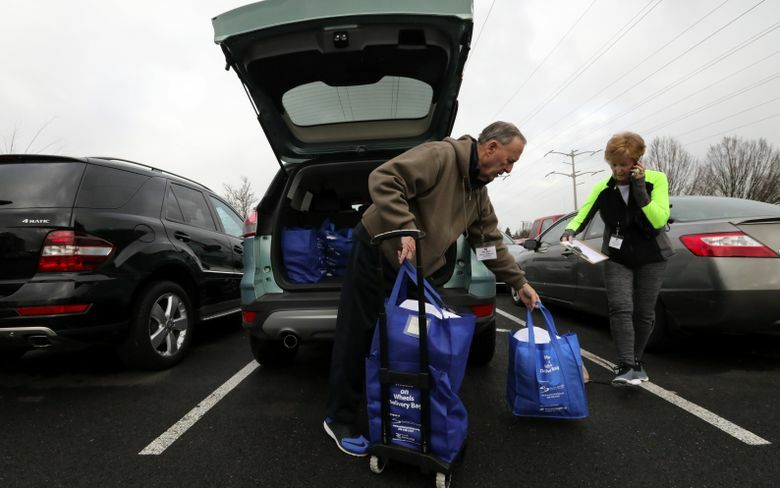 For him, it means partaking of the Sound Generations Meals on Wheels program, which last year delivered some 410,000 meals to more than 2,300 people. 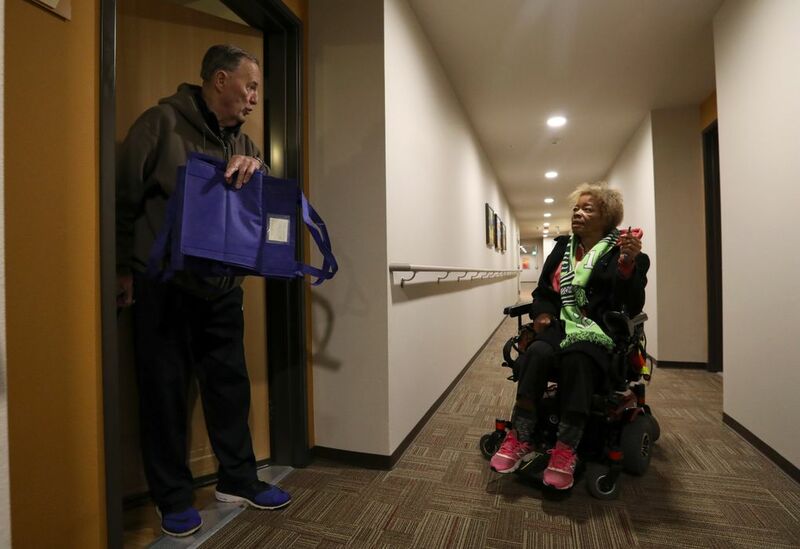 Sound Generations used to be called Senior Services, and it’s one of 12 groups that benefit from reader donations to The Seattle Times Fund For The Needy. 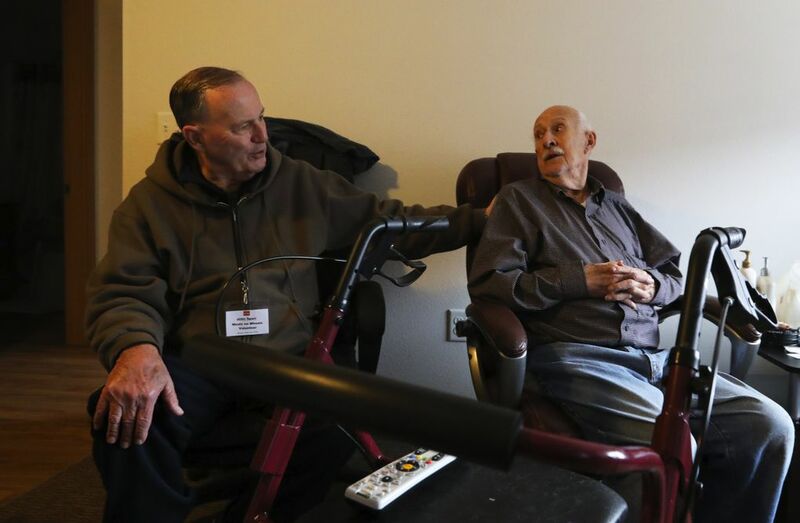 An agency such as Sound Generations can help seniors with everything from minor home repairs to shuttle services to caregiver support. With baby boomers retiring, King County’s senior population is expected to double from 2008 to 2025. Boomers haven’t exactly planned ahead. Only 55 percent have saved any money for retirement, according to the Insured Retirement Institute, a nonprofit composed of 150,000 finance professionals. Once, a few years ago, Alexander had $30,000 in savings from the sale of his home. That $30,000 just kept getting smaller and smaller, with this and that in expenses. “I’d say I had a good life,” says Alexander, who’s not given to dwelling on things. He is the first stop for John and Lois Sparr, who every Wednesday bring Alexander his nine frozen Meals on Wheels. He always requests nine meals, from choices such as pork patty, chicken casserole, Swedish meatballs, burrito or baked fish. They come in microwaveable cardboard containers and each dinner has one of those very generic-looking labels slapped on the top, all print, all black-and-white. No need for any elaborate color graphics. John Sparr is 76; Lois is 75. They have done all right, they’re in good physical shape, and now they’re giving back, as is the wont with volunteer types who make such a program work. 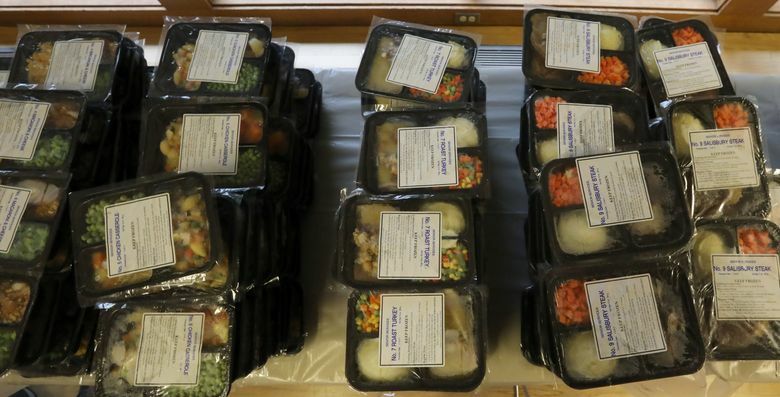 $25: 5 Meals on Wheels meals. 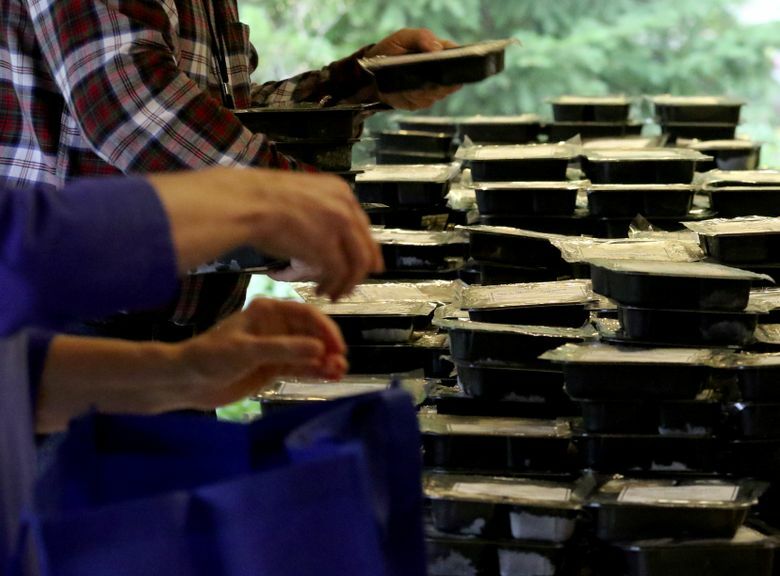 $50: 12 hot, made-from-scratch lunches for seniors at a community dining site. $100: Gets minor home repairs for one low-income homeowner to make their home safer and prevent falls. 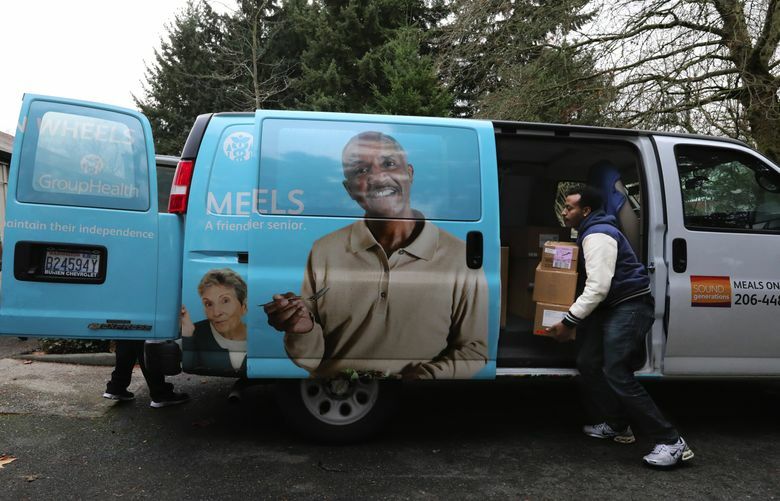 Every Wednesday morning they show up at the Renton Senior Activity Center and wait for the arrival of a van loaded with the frozen meals. On this day, 559 meals arrive, and they are stacked and sorted on tables for the 45 people getting the food. They can order seven or 14 meals, and some households, with a couple, get double that amount. Then meals are sorted into canvas bags, and off go the 10 volunteer drivers. There is a suggested donation of $5 per meal. For nine meals, that would be $45 for Alexander; maybe not a lot if you have a South Lake Union tech job, but a big chunk if you’re counting the dollars until that next Social Security check is deposited. On this week, for the 559 meals, suggested donations would be $2,795. The actual money received is $167. From Alexander, there is a “thank you” for the frozen meals. In the same complex lives Janice Jones, 64, who used to be a nurse. Her total monthly income is “$800 to $900” in Social Security. Her apartment is subsidized at $160 a month. A couple of years ago she had a stroke and now gets around in an electric wheelchair. She has family in the area, but her life is here. The battery on the wheelchair is good for 3 miles, says Jones. “Fred Meyer, Walgreens, McDonald’s, the pancake house, Safeway, I can get to all of them,” she says. The senior home has a gym, “And I walk on the treadmill, holding onto it for support,” she says. To save money, she only has broadcast TV, not cable, in her apartment. Anyway, there are places in the building where you can watch cable TV. “I’m a social person,” says Jones. At that income of $800 to $900 a month, she’s below the poverty line. If Jones was a year older, 65, she’d be among the roughly 1 out of 10 seniors counted as living in poverty in this county. That’s the overall average. Jones is African American, and for seniors in that group, 1 of 5 are in poverty. For the 14 frozen meals she has ordered, Jones gives a $5 donation. 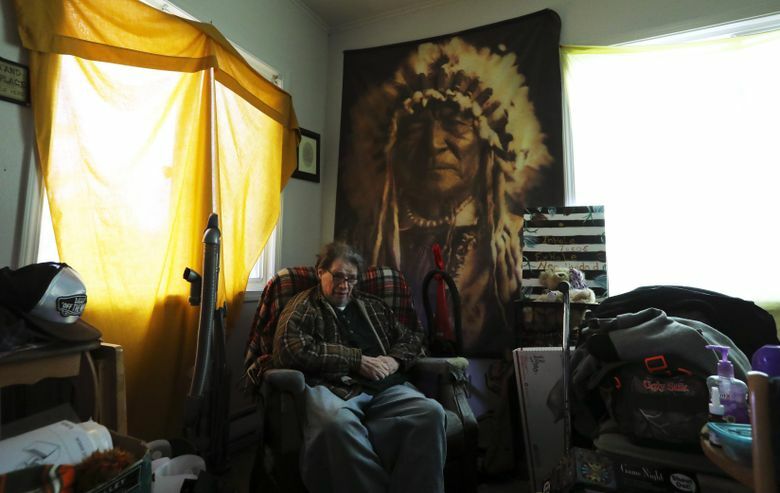 A short ride away is the home of Elizabeth Vawter, 64, and her brother, David Vawter, 67. 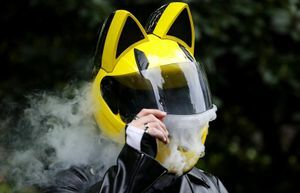 His last job was doing emission testing for cars until three years ago. She says she worked in retail until she took early retirement to take care of their parents, now deceased. Their combined Social Security income is a little over $1,900 a month. There are no savings. Elizabeth talks about a family home in Ballard owned by their parents. She tells about mortgage problems, and how it was lost. Life derailed is a common thread among many Meals on Wheels clients. The brother and sister live with two dogs, a blue heeler named Luna and a dachshund, Charlie. The rent on their home is $1,500 a month. They used to split it with Elizabeth’s daughter, but she’s moving out. It’s tough to envision a new renter coming into the three-bedroom home that has numerous odds and ends everywhere. Elizabeth says they’re in the process of sorting items that the daughter would take, and items that belonged to the parents, and so on. They’ve ordered 14 frozen-food items. No money for a donation, none mentioned. This is the third year the Sparrs have been taking Meals on Wheels on their Wednesday routes. The political discussion these days is about entitlement programs and safety-net programs and what gets cut. But as the saying goes, then there are the facts on the ground.